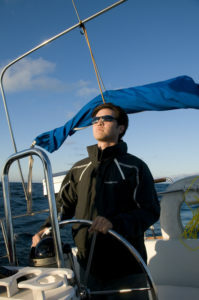 Key to enjoying a season of fractional leasing is the scheduling system used to divide time on the boat between you and the limited number of other sailors who share the fixed cost of operating your boat. We have spent the past seven seasons analyzing how our customers like to use our boats and have gradually honed our scheduling system to most closely match the way you would like to sail. At the beginning of the season, you purchase a lease package plan for one of the boats. That plan comes with a number of credits that varies depending on what type of share you buy – Gold, Silver, or in some cases Bronze or Platinum. Whenever you reserve and take a sail on the boat, we deduct credits from your kitty. It really is that simple and it works because we only allocate 50% of the time available on our boats. At maximum capacity, we leave half of the days in the season unsold. We are the only fractional leasing sailors in the Chicago area that makes this commitment. It allows us to offer a sailing experience that offers unparalleled flexibility and value.